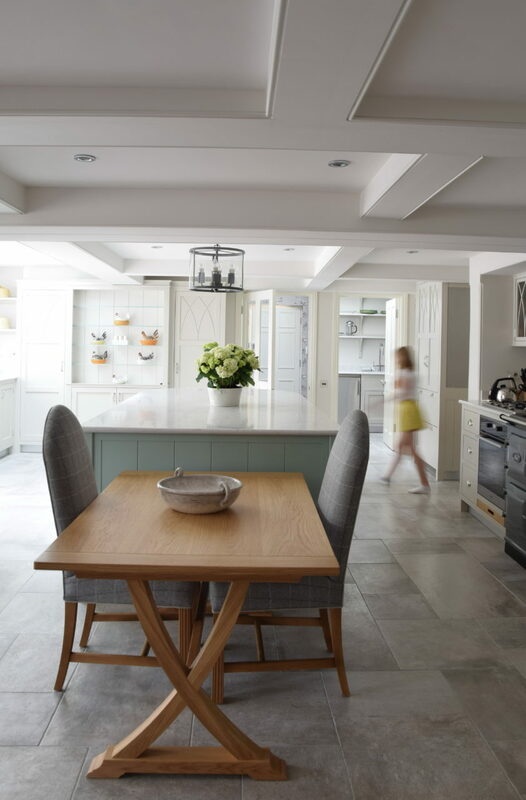 This project it has to be said was quite a challenge, with a tricky room shape and an exceedingly low ceiling with lots of beams Nick Anderson had to work hard to make the design work. 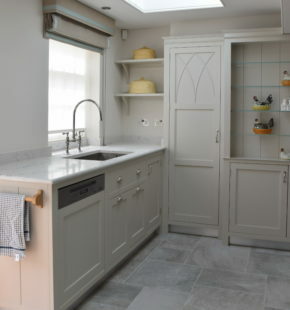 The kitchen was made for a client who does an exceptional amount of cooking in fact you could say it is her day job, so Nick made the kitchen to be incredibly practical as well as a delight to be in. 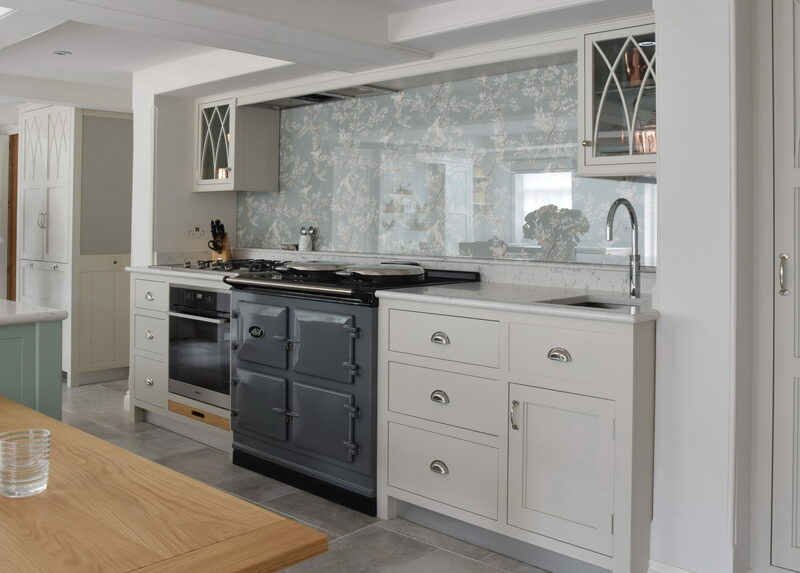 An Aga was installed in the new Slate colour and above the Aga Westin bespoke extractors made a neat extraction system that could be tucked in the tiny space between the beams. 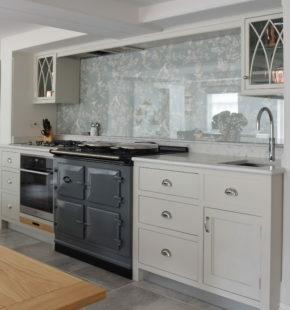 Behind the Aga the client had individually designed for her a beautiful wallpaper by Lewis and Wood which was then covered in a 3 metre length single sheet of glass with no visible fixings. 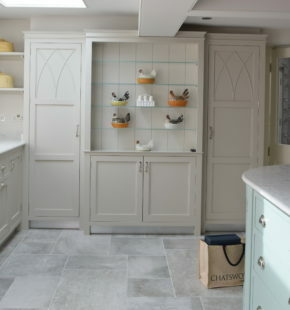 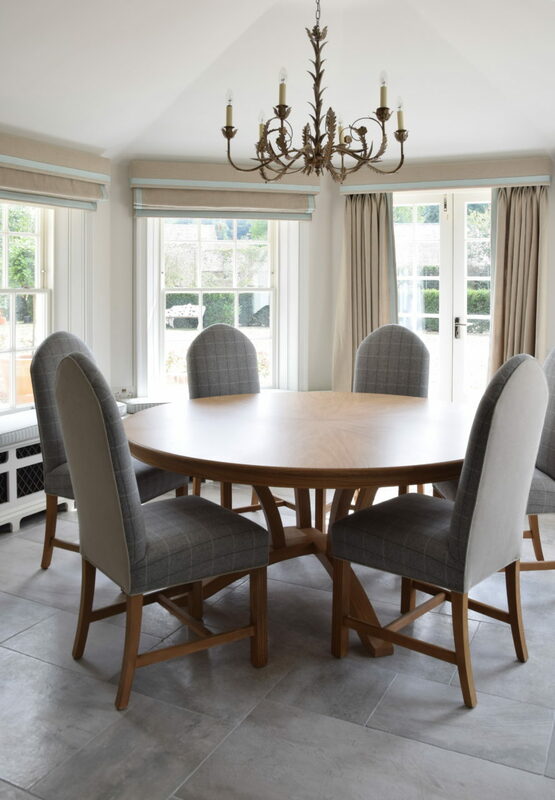 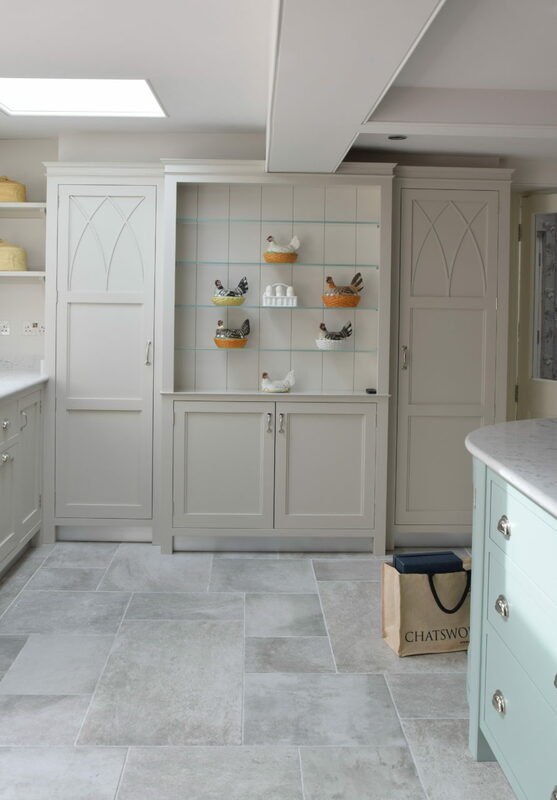 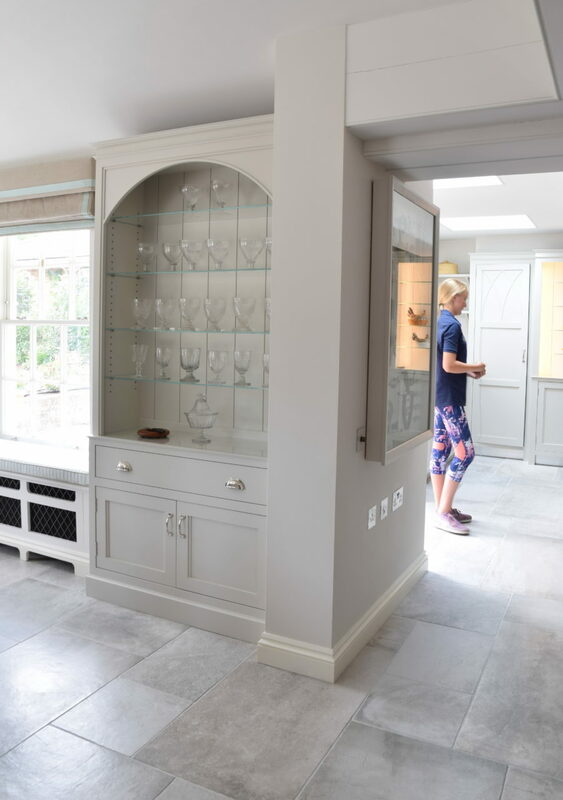 The client very much liked the Gothic arch design which she had seen used in a previous standalone piece of furniture by Guild Anderson, so Nick then applied this design within the kitchen which then tied in with the dining chairs and the rather beautiful oak sunburst veneer dining table. 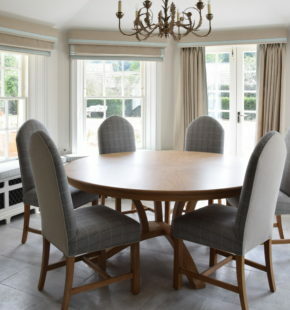 For less formal dining a trestle type oak table was created at the end of the island where the client and her husband can have breakfast together. 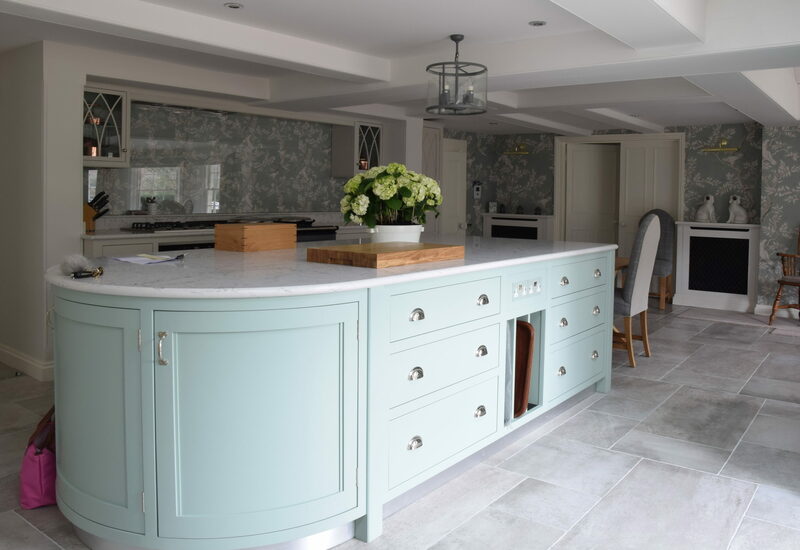 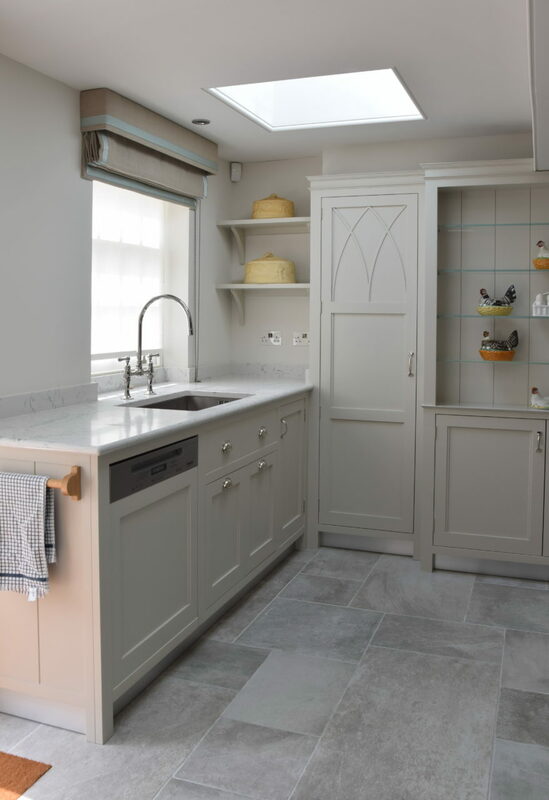 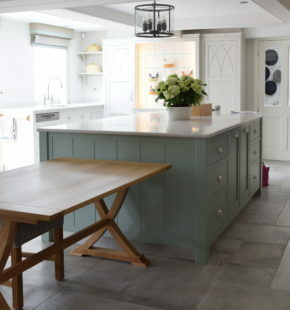 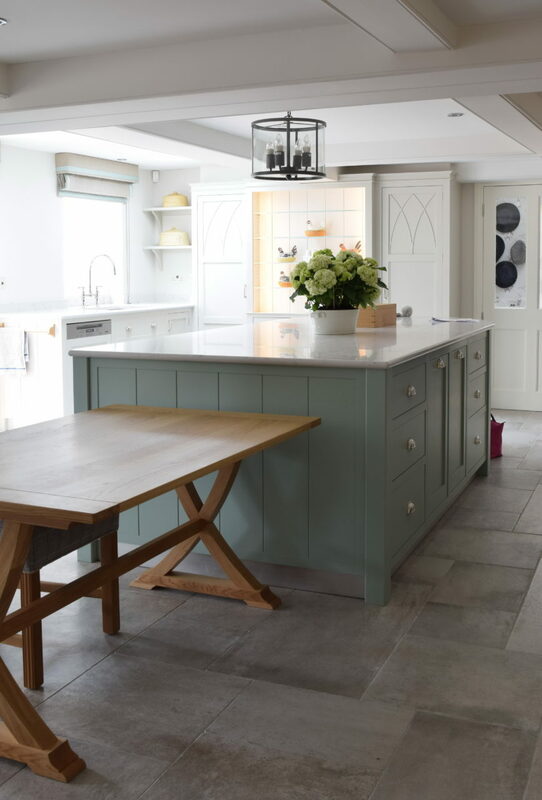 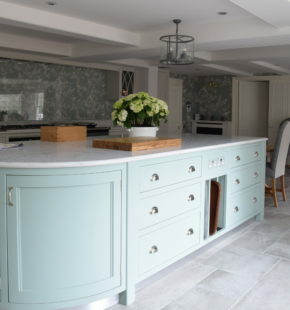 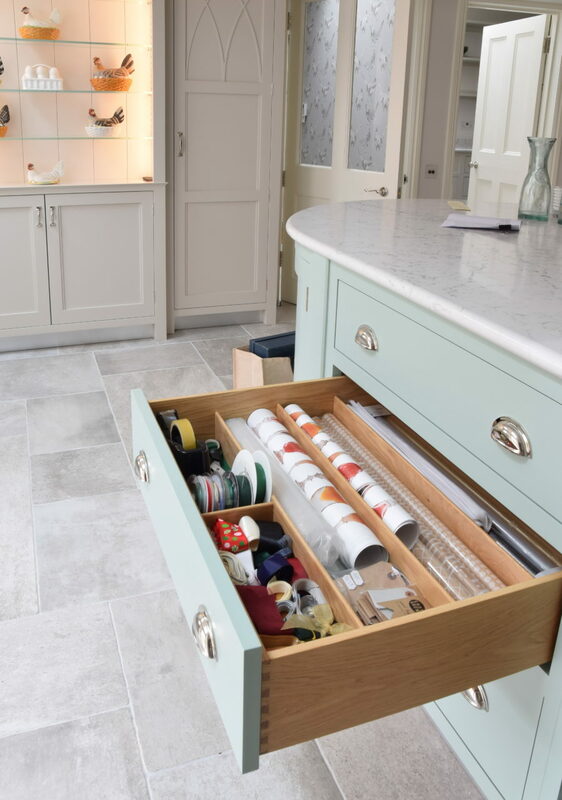 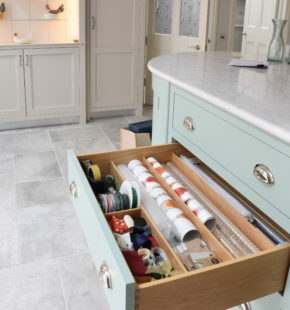 Hannah assisted in making the colour choices and Little Greene’s Aquamarine and Slaked Lime were chosen to tie in with the wallpaper, walls and worktops.